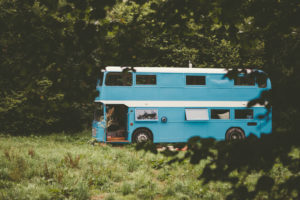 Having the right windows can transform a house into a home – but for one busy career woman it was the addition of Liniar windows that put the finishing touches to her ambitious conversion project, transforming a double decker bus into a luxury mobile residence. 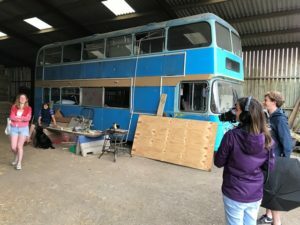 The plan for the project was so bold and imaginative that Channel Four quickly jumped ‘on-board’ to feature the renovation on its popular show Amazing Spaces – airing on Thursday, February 1st. Ellie Banner-Ball dreamed of escaping the rat race and living a life of freedom on the road – and that’s exactly what she set out to achieve when she changed her job – moving from the ‘big smoke’ to Devon and becoming a mindfulness teacher in October 2016. Inspired by an Instagram post which suggested buying an old bus, removing the seats and converting it into a mobile home, Ellie ditched the hustle and bustle of the capital and bought herself a 1970s double decker called Betty. However, Ellie wasn’t expecting the purchase to make her and Betty into TV stars – especially as she doesn’t actually own a television! 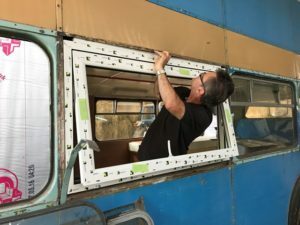 The Channel Four show sees celebrity architect George Clarke investigate wonderful designs and meet the people with the imagination to transform a variety of spaces into grand creations, on small budgets. However, things didn’t immediately go to plan for Ellie. 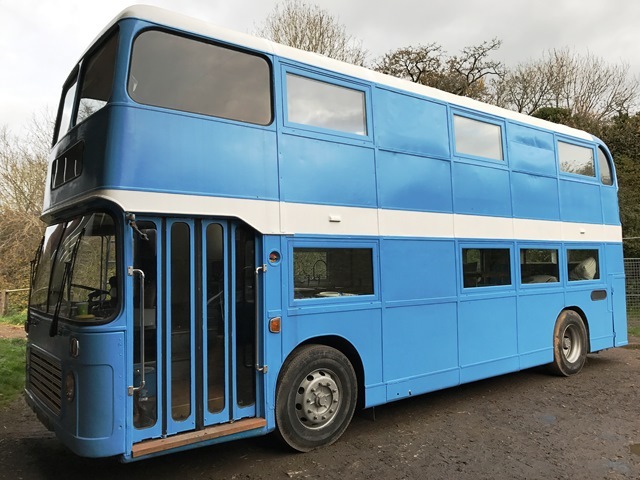 The double decker bus, a Bristol VR model, was mechanically sound, but other areas needed some serious attention. 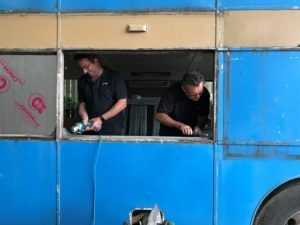 “The first six months of the project was spent completely restoring the bodywork and the interior was much worse that we first thought,” said Ellie. But six months later the restoration was practically complete and the next stage commenced – making Betty beautiful. 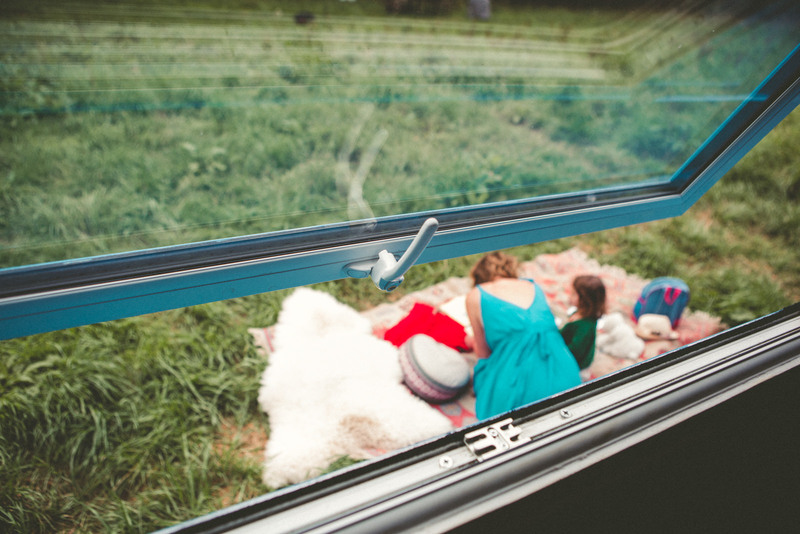 One of the first steps to achieve this was to replace five unrepairable windows. 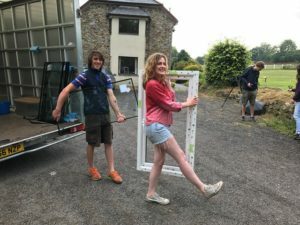 Totnes-based installers Southfield Windows Ltd were given the task of providing and fitting these – which, despite more than 30 years of experience, proved to be a first for them. “We thought it was a bit random,” said Roland Bell, Southfield’s Operations Manager. 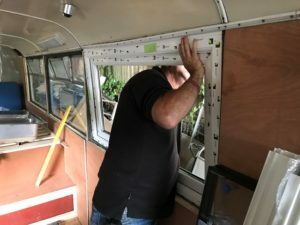 “It’s definitely the first time we’ve been asked to install windows on a bus! “It threw up a couple of challenges. Firstly, we had to use an angle grinder to square off the round corners that the original windows were fitted into. Once the five windows were installed it left Ellie with a serious quandary. 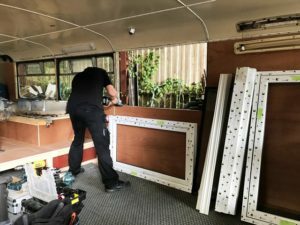 It was at this point that Ben Paul, the General Manager of Liniar fabricator Omega Trade Frames, came to the rescue. “Then Roland at Southfield very kindly said that they’d survey and install them without charging. 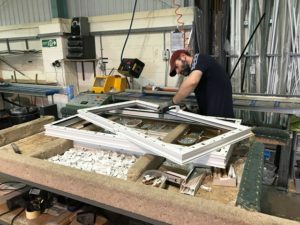 Formed in 1995 in Kingsteignton, Devon, Omega is one of the South West’s leading manufacturers of uPVC trade frames, operating from 10,000ft² purpose built premises with a capacity to produce 800 frames per week. 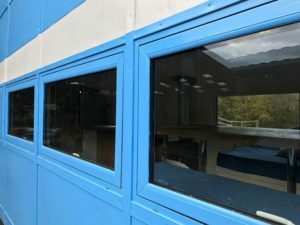 “The windows used on the project were A-rated white flush sash casements, utilising the MACO Espag gearing locking system and Planitherm Total glazing with argon gas. 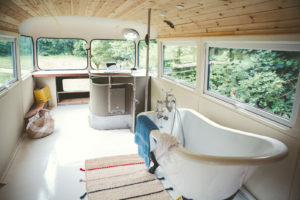 Now complete, the results of the conversion are truly stunning and Ellie plans to move in to the bus shortly. Consisting of two bedrooms, one of which is a king size, and a bathroom, the open-plan layout provides a spacious appearance. 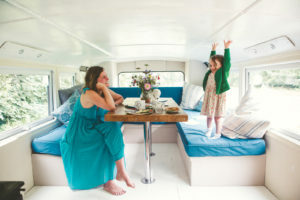 “You don’t realise how large it actually is inside one of these vehicles until all the seats have been removed – it’s about the size of a studio flat,” commented Ellie. 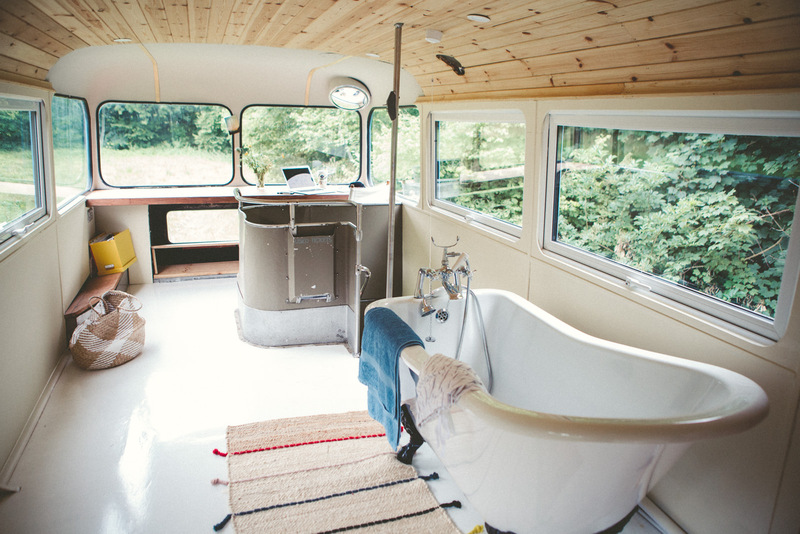 “I’m very pleased with how it’s all turned out, but the windows really are the best element of the whole bus for me. Having them has turned Betty into a real home, making it warm and cosy and they look amazing. So what does the future hold for Betty? 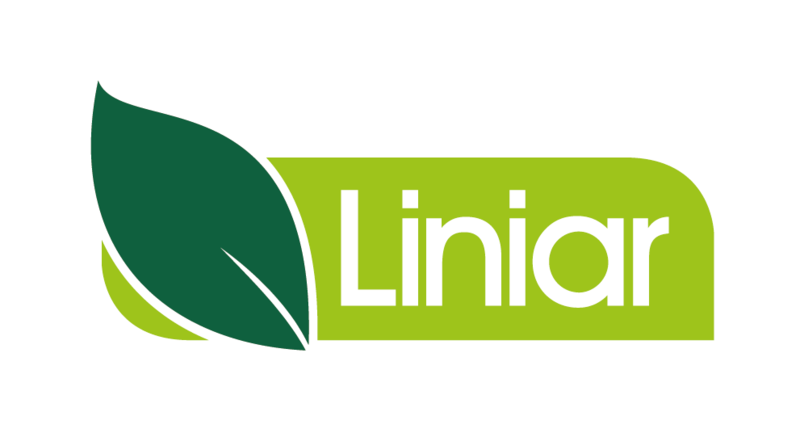 Find out more information on Liniar uPVC windows here. You can contact Omega Trade Frames here and Southfield Windows here.